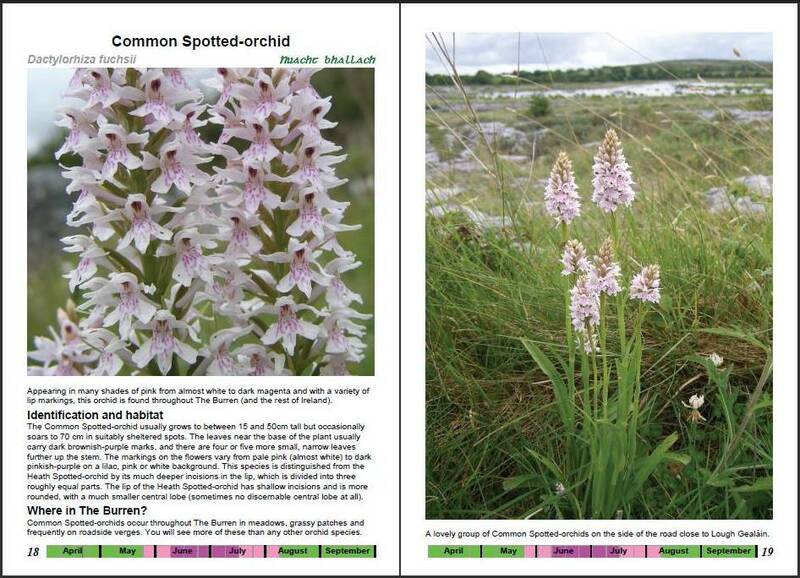 "A beautifully illustrated clear, concise and reader-friendly guide to identifying the wild orchids and finding the best orchid sites in Ireland's internationally-famous limestone pavement wildflower paradise." 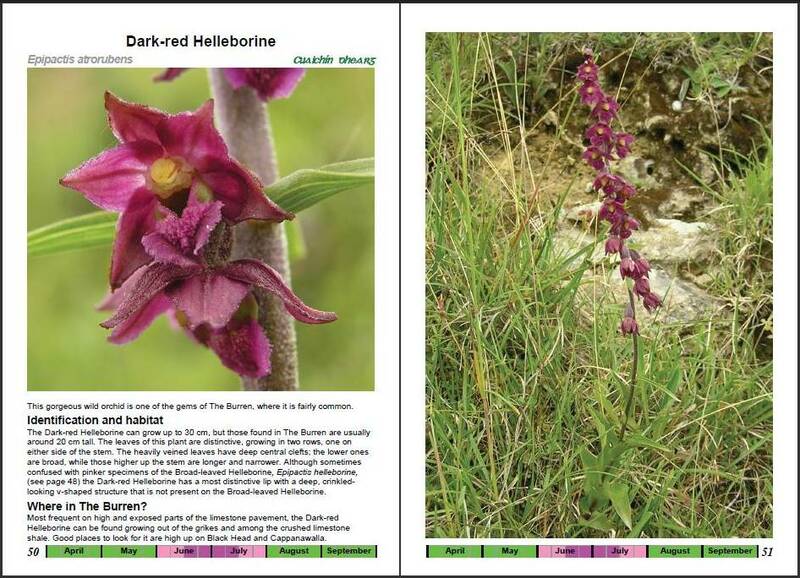 Special offer: £4.70 + £2.80 P&P (30% off the RRP). Pay by Credit Card, Debit Card or PayPal Account. Note: you do not need a PayPal account to pay using your credit or debit card. Once you will click "Buy Now" You will be redirected to PayPal for payment. The first option (ORANGE BUTTON) will be to pay with your PayPal account (or to set one up if you wish), and the second option (WHITE BUTTON) will be to pay directly with your Credit Card / Debit Card. 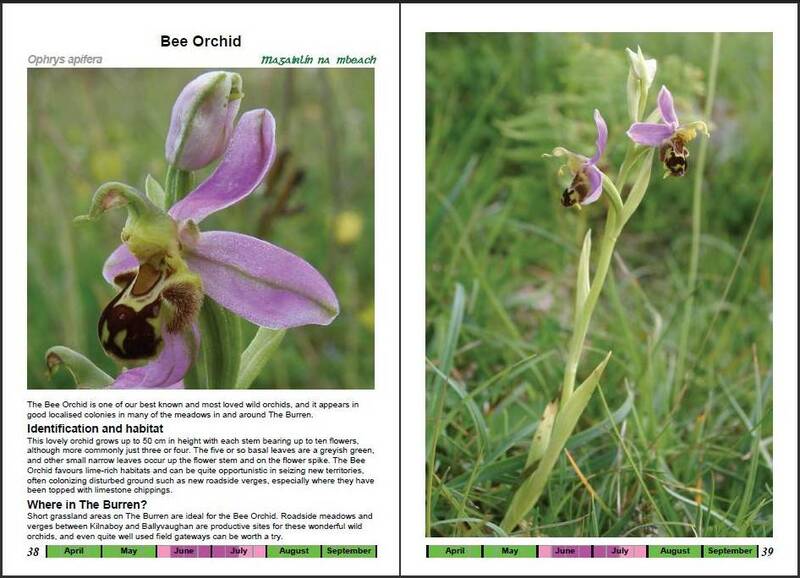 A beautifully illustrated guide to wild orchids, ecology, habitats and blooming times plus a detailed map and information about the most prolific wild orchid locations in The Burren, Ireland's world-famous limestone pavement landscape, in County Clare. 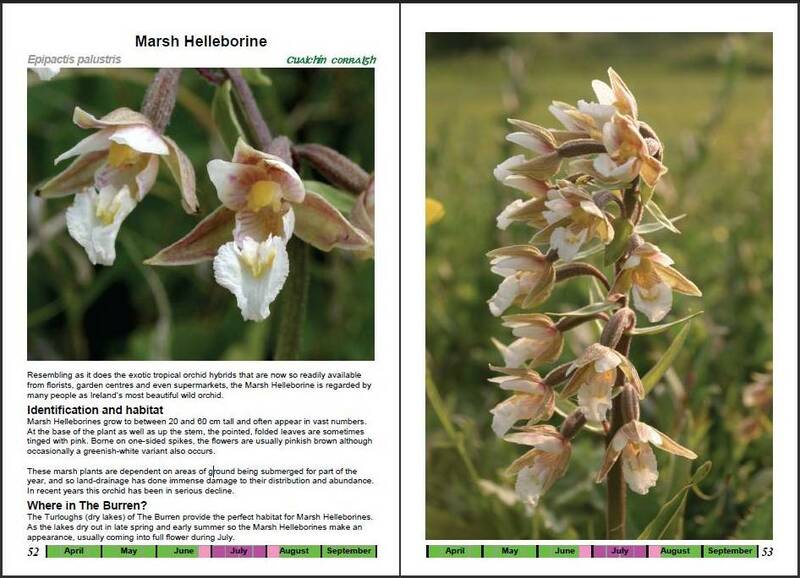 This guide is illustrated with 70 large colour photographs of plants in their natural Burren habitsts; close-up photos of an individual flower of each orchid species, with flower size guides, orchid flowering season date strips at the foot of each species page, plus 'where to look' advice. 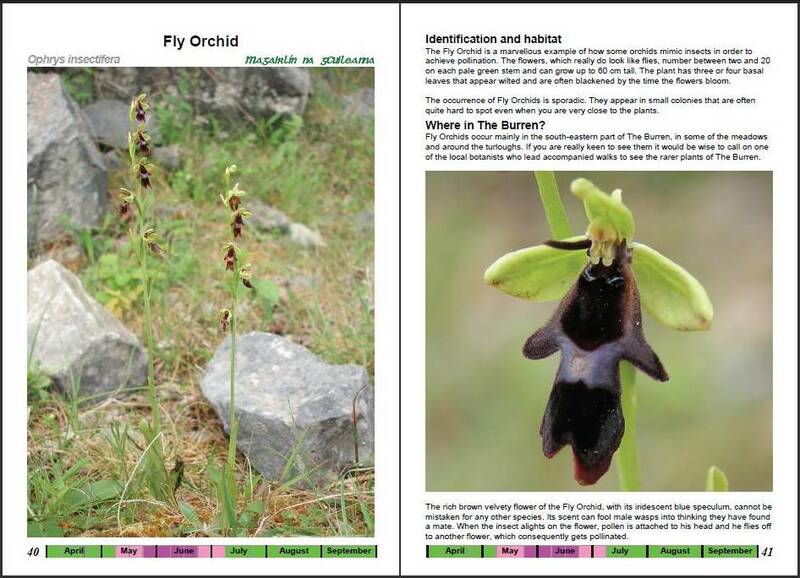 Inside the back cover there is a unique 'Dulux' colour chart to make orchid identification as easy as possible. 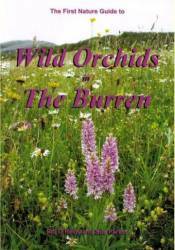 "The Burren is a wonderful place, and at last someone has produced a book that does justice to the amazing orchids that grow in this remarkable landscape. 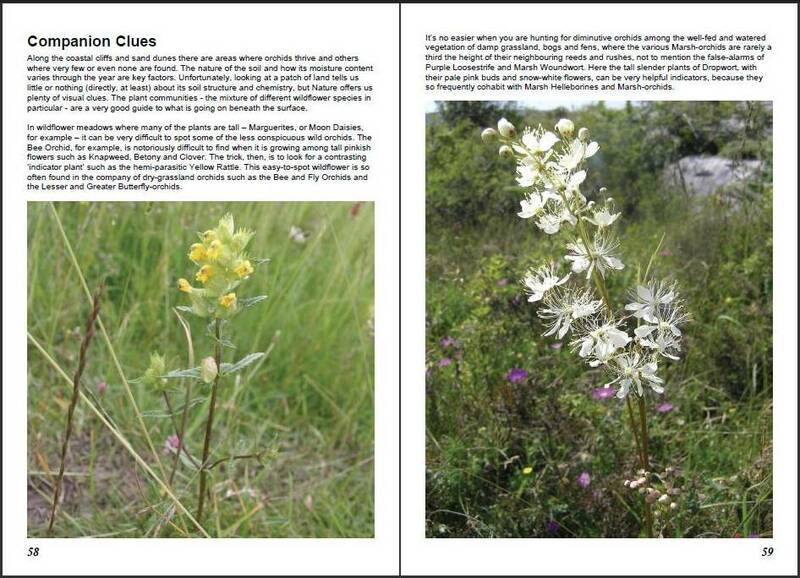 Clear map, super pictures, and clear, concise explanatory text. Just the job!" 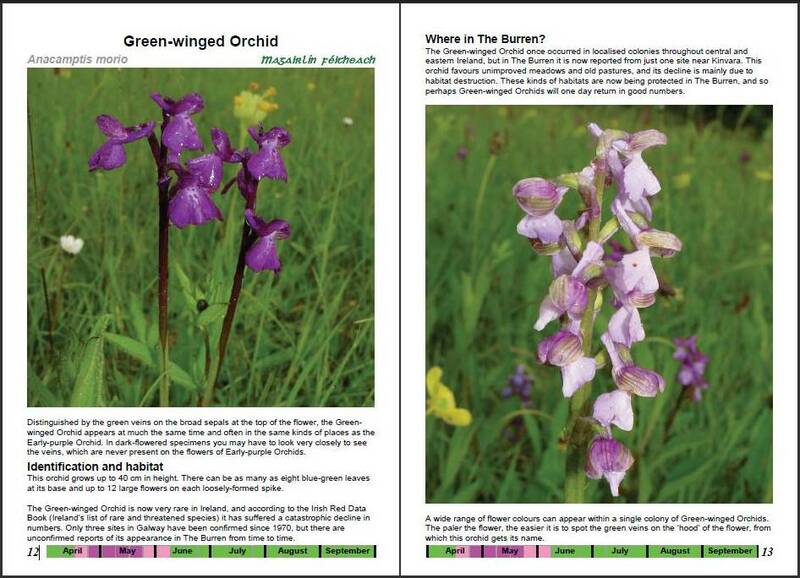 A beautifully illustrated guide to wild orchids and orchid sites in The Burren. 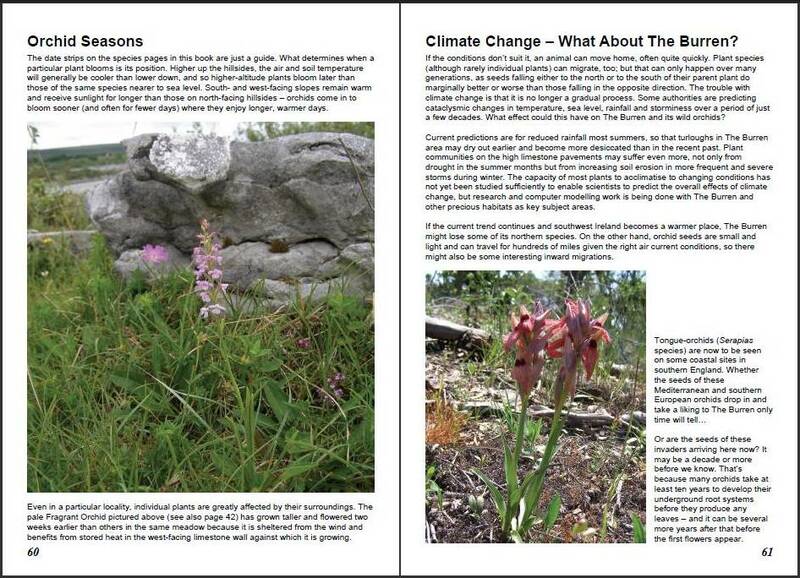 Writer and broadcaster Pat O'Reilly has wandered the Irish countryside in search of wildflowers for more than 50 years; he has written more than 20 books on wildlife and countryside topics. 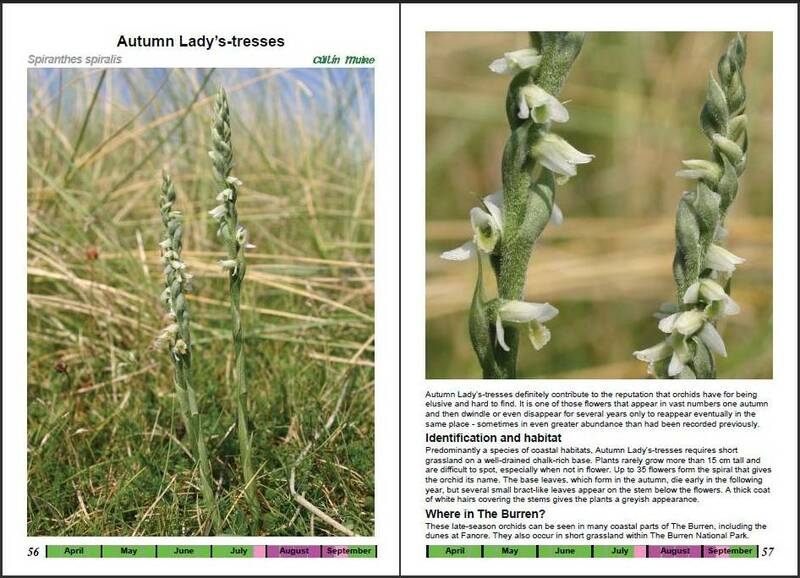 Sue Parker is a frequent contributor to countryside magazines, radio and TV programmes and has been photographing wild orchids for more than 30 years; this is Sue's eighth book. 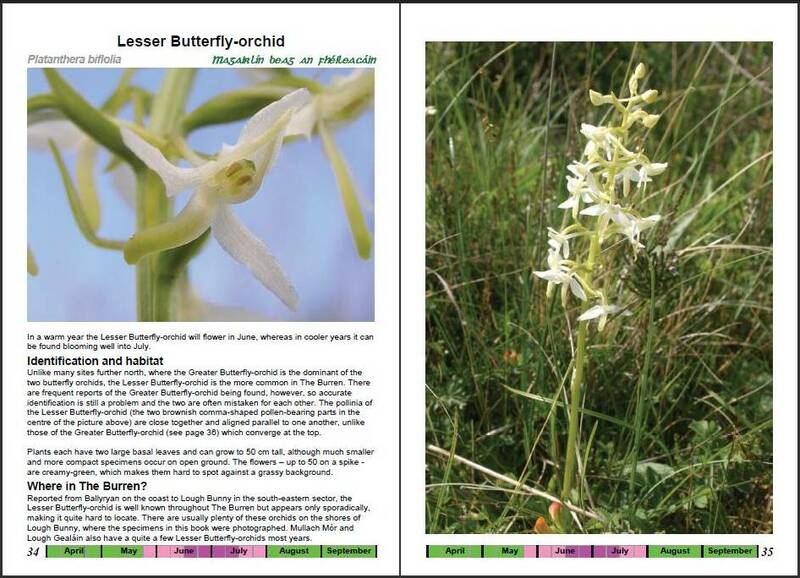 What’s Special about Orchids in The Burren? 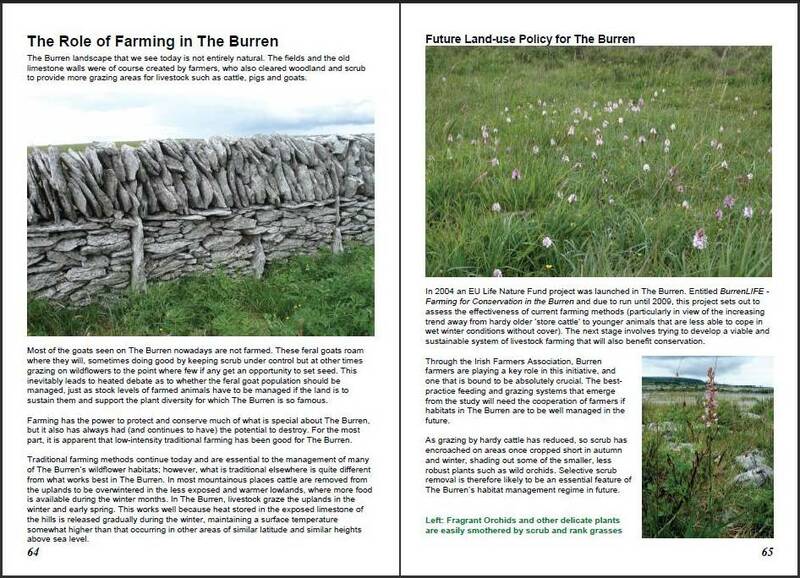 Who Cares for the Burren’s Orchids? 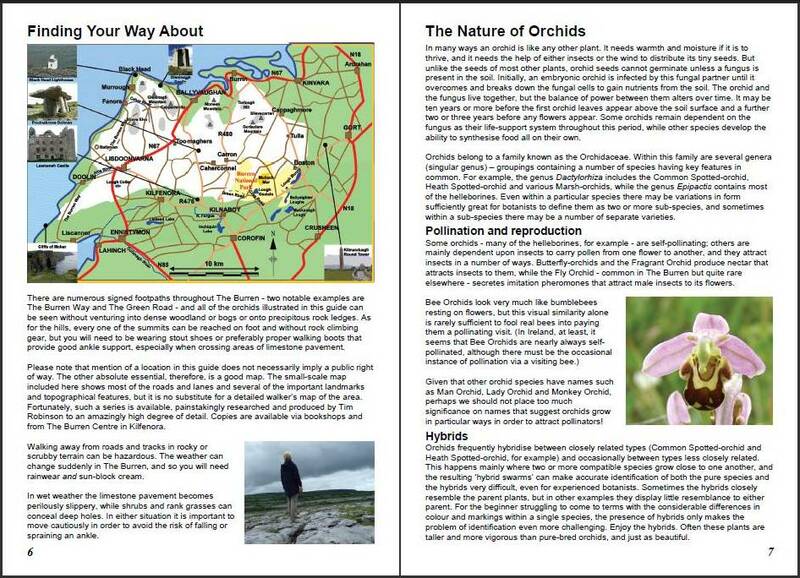 Writer and broadcaster Pat O'Reilly has wandered the Ireland's countryside in search of wildflowers, in particular wild orchids, for more than 50 years; he has written more than 20 books on wildlife and countryside topics. 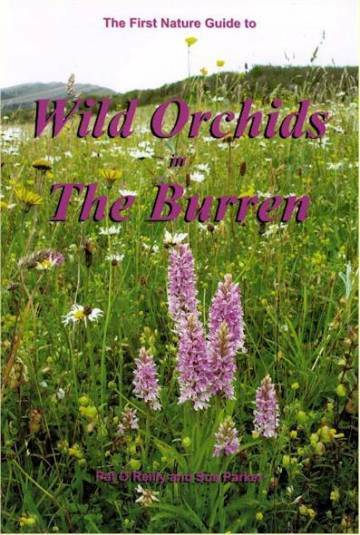 Sue Parker is a frequent contributor to countryside magazines, radio and TV programmes and has been photographing wild orchids for more than 30 years; this is Sue's eighth book.